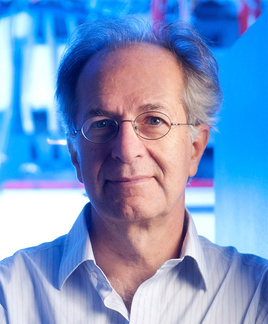 Kamil Ugurbil, PhD, is professor of Medicine, Neurosciences, and Radiology, and director of the Center for Magnetic Resonance Research (CMRR). Within the CMRR, Dr. Ugurbil and his team have built a center with unique instrumentation and expertise that allows scientists to examine living tissues in great detail. Using noninvasive, high-powered magnetic scans, they can view the inside of human and nonhuman animal bodies. CMRR’s imaging equipment helps researchers study heart disease, cancer, metabolic disorders, Alzheimer’s disease, schizophrenia, and other areas of brain science. Thanks to this kind of expertise, Ugurbil and his colleagues have helped lead the Human Connectome Project - an ambitious effort to map every connection of the human brain. Read Dr. Ugurbil's full biography.